BBTV X Epidemic Sound - Introducing Music Monday! Are you always in search for new music to fit your latest upload? Look no further, Epidemic Sound is here! Rather than spending hours and hours trying to find the perfect song to fit your vid, stay tuned every Monday on our BroadbandTV socials (links to Twitter, FB & Insta) to see what track we’re featuring! Here’s our first track ‘Endless Summer’ to start your week off right, it might even be perfect for your next upload! And please remember, Epidemic Sound requires you (as per their Terms of Service) to provide proper citations. 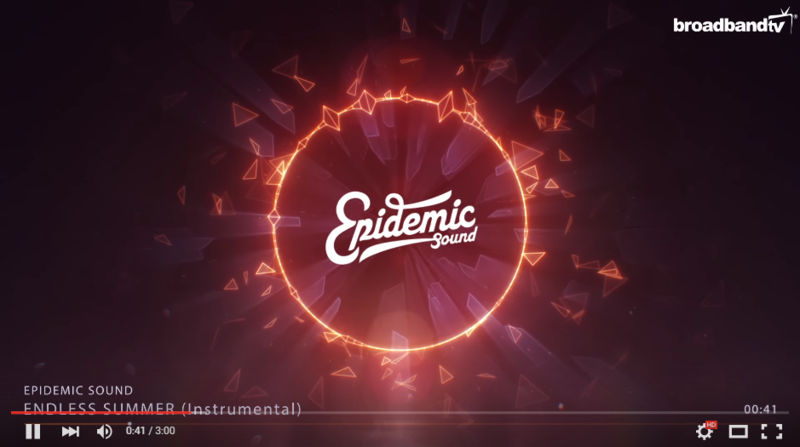 In particular, you need to add the following in your video description and/or in your video credits: ‘Music by Epidemic Sound (http://www.epidemicsound.com)’. Thanks in advance for your cooperation! Remember if you’re a BBTV Creator you have free access to Epidemic Sound’s massive music library, with zero costs, and all usage rights cleared forever! Offering over 30,000 copyright-safe tracks, sign up for Epidemic to give your videos the professional touch they deserve (without the worry of strikes or claims)! Not a partner, but interested in joining up? Learn more here! Yea, well how do I connect my BBTV partnership with Epidemic Music, I downloaded 3 songs and it’s saying that I exceeded my download limit?? Please contact support@bbtv.com to ensure this issue is resolved as quickly as possible.